Interview with Driver Hire's Andrew Padgett, with over 20 years experience! 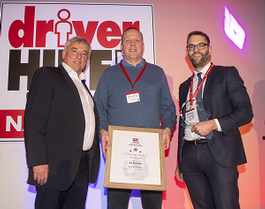 We have an exclusive interview with Andrew Padgett, franchisee for Driver Hire, the silver award winner of "Franchisor of the Year 2017". Andrew has been running his Driver Hire franchise in Ashford and Tonbridge for over 20 years, and so who better to give us an insight into Driver Hire, the UK’s leading supplier of temporary and permanent staff to the driving and logistics industry, and why they are one of the UK’s leading franchise companies. 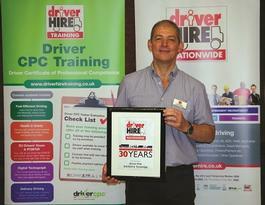 Ed Pockney, franchisee at leading transport & logistics recruiter, Driver Hire Uxbridge, is in line for a national award. He’s one of the finalists in the 2019 bfa HSBC Franchise Awards, in the ‘Business Transformation’ category. With over 30 years in the industry, Driver Hire is a force to be reckoned with. Not only are we one of the leading recruitment businesses for drivers and logistics staff in the UK, but we are also a multi-award winning franchise with a brand name that opens clients’ doors. A great achievement when you consider that the franchise industry’s’ average turnover is currently only £378,000 according to the 2015 bfa/NatWest survey. To receive more in-depth information on our success and our franchise offering, request our free prospectus here. As a Driver Hire franchise owner you would essentially manage a recruitment business. On a day-to-day basis, you would source drivers and logistics staff looking for work and then refer them to your clients. These clients are often multi-national freight companies, such as builder merchants, parcel carriers and local authorities, looking for a flexible workforce. The market, within which we work, is huge - the UK recruitment industry is estimated to be worth £32.2 billion a year. With our highly recognisable and respected brand, doors are opened to our franchisees that would not be opened to many other businesses. Ultimately, for many people buying their own business is a means to controlling their own work-life balance in a way that suits their financial and family needs. To find out if this franchise offering would be a good fit for you, why not immediately download our FREE franchise prospectus here. One of the major benefits of franchising, which differentiates us from a business start-up, is that a franchisee receives dedicated attention from our Head Office team. Franchise owners receive 2 - 6 weeks’ worth of training followed by a 6-month Franchisee Support Programme. They also have access to continued support throughout their franchise journey from Head Office; There are over 80 members of staff who can assist in all areas of business development. At Driver Hire, your success is our success. We want to see you thrive and so we give you everything you need to do so. We know that we offer a fantastic franchise offering but don’t just take our word for it. Hear what some of our franchisees are saying. “To be honest, I’d never really considered the franchise option but once I looked at Driver Hire it changed my mind. Driver Hire is very professional, has first-rate business processes and franchisees enjoy great backing to ensure we are successful.” Roy McLellan, Driver Hire Dundee Franchisee since 2009. 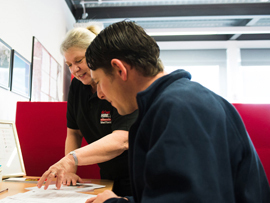 Becoming a Driver Hire franchisee is a life-changing decision. In joining us, you’ll be joining a long line of successful business owners who are very pleased that they took the same decision. By filling in the form below you will be able to download a copy of the Driver Hire prospectus.